[QXL-Desktop] Troubleshooting - QXL Error 3120 - Object X specified in the request cannot be found. Troubleshooting - QXL Error 3120 - Object X specified in the request cannot be found. I am trying export data from QXL. 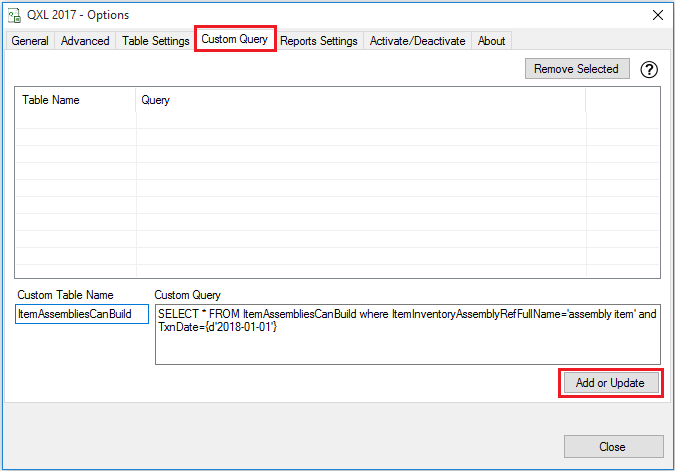 I have selected ItemAssembliesCanBuild & other tables from "Table Setting" tab. After that, I click on QXL export button I got below error message after export. ERROR  [QODBC] Error: 3120 - Object "X" specified in the request cannot be found. 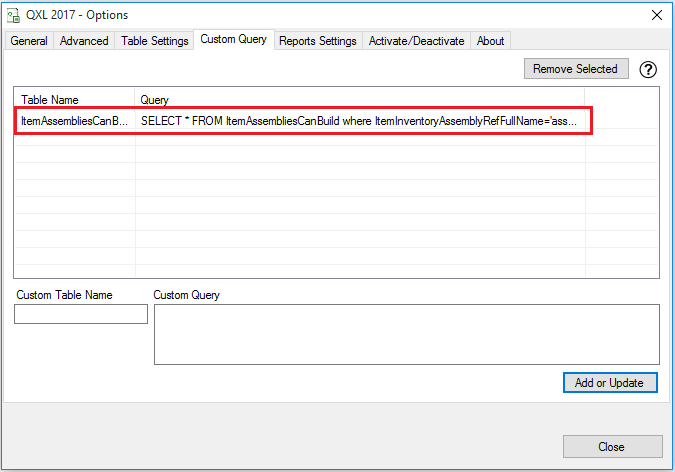 ItemAssembliesCanBuild Query does require ItemInventoryAssemblyRef(ListID or FullName) and TxnDate in the WHERE Clause to perform the query in QuickBooks SDK. When you execute query directly without specifying ItemInventoryAssemblyRef(ListID or FullName) and TxnDate, then you will get this error. So you need to execute the query with ItemInventoryAssemblyRef(ListID or FullName) and TxnDate through custom query. After adding query, Please try to export again. You will not get the error.